Something We Learned: The roar of a busy road can be prominently heard over 2.5 miles away…all day and all night. Project Remote is working to precisely calculate and travel to the remotest locations in each of the 50 United States. Below is a written account of our 2-day canoeing expedition to document the Arkansas Remote Spot. This is our 12th state Remote Spot documented as part of Project Remote. Click on the ‘Play’ button below to view our panoramic video of the Remote Spot. November 2, 2011. 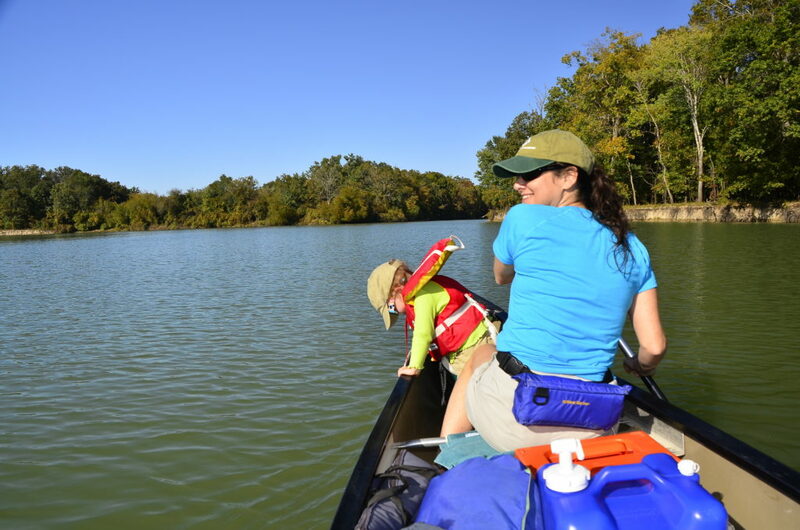 Approximately 2 p.m. We embark on a 2-day out and back paddle to the Arkansas Remote Spot. Days earlier, back in the office, when Rebecca determined that the remotest location in Arkansas looked like it was going to be in the deep swamps within the Delta country of southeast AR, we nervously sighed. Not that we didn’t want to explore swamps, but swamp slogging can be VERY slow going. And we know something about swamp slogging, being from Florida…Then we looked more closely at our calculation. The Remote Spot landed directly along the banks of a prominent, meandering river within a large roadless patch. 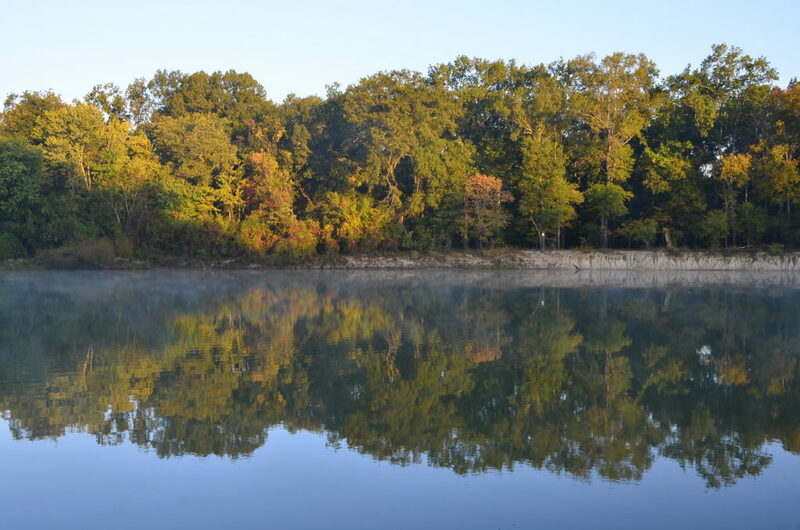 The roadless area turned out to be the Felsenthal National Wildlife Refuge and the river was the mighty Ouachita. 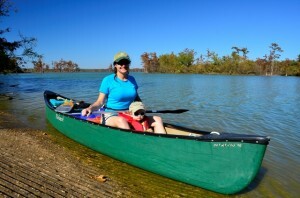 We immediately gravitated toward the idea of using a canoe to travel to the Remote Spot. We put in at a boat launch just north of the US 82 bridge to begin our expedition. The weather is gorgeous today. Afternoon temps are in the 70’s with a clear blue sky. Canoeing is such an efficient and enjoyable means of travel. 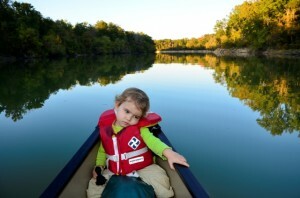 Our 2-year old Skyla enjoys her first overnight jaunt in a canoe immensely. We were not certain how she might do at first, but currently, she is elated and inquisitive. She looks to be the next river lover in the family. 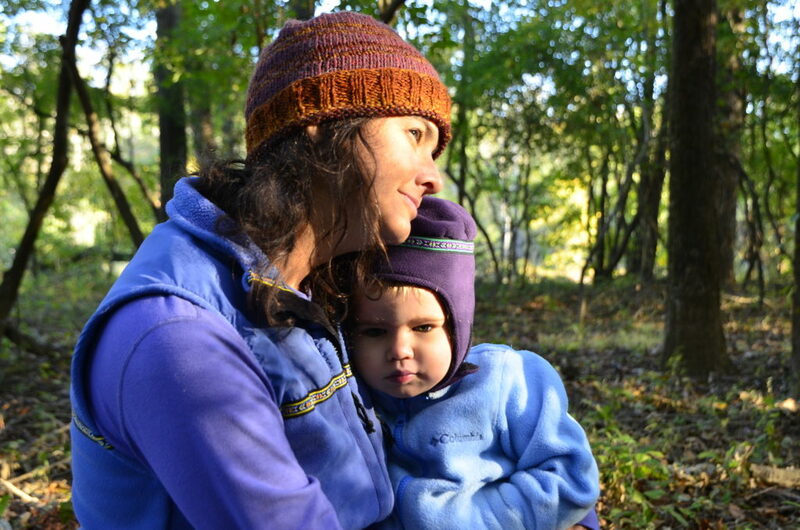 Rebecca describes the logistics of canoeing with a toddler in her blog, Traveling Trail Mix. Skyla settles into a more introverted mood…The afternoon progresses into early evening, and the Arkansas Remote Spot comes into view on the far upstream banks. The most exciting time on our remote spotting expeditions is always the close approach followed by the arrival. We fill with euphoria and a sense of accomplishment, to name just a couple emotions. It takes us 3.5 hours of straight paddling to reach the Remote Spot this early evening. There isn’t enough time or sunlight for us to conduct our Remote Spot Assessment and other doccumentary endeavors. So we must push onward to a designated camping spot fairly close by, and wait until tomorrow morning to revisit the R-Spot while on our return back to the launch. At camp, there is always much work to do like getting tents set and fixing a meal. We go flyless because of clear, starry skies. The temperature drops into the 40’s. The river floodplain swamp forest comes alive at night. Barred owls “who-aw” back and forth. A coyote pack yelps wildly. A few arboreal insects are still calling despite the onset of winter. All night, we enjoy the sounds of Southeastern wildness. However, there is one unwelcome sound. US 82 roars constantly through the night, and dominates the other sounds, despite being nearly 3 miles away. This blows our minds. We had no idea that one could hear a road, and quite loudly, from such a distance. This is an eye-opener for us and provides further motivation for conducting Project Remote. Morning arrives in the riverine swamp forest. It’s chilly out. We avoided dewfall last night by setting up tents under a tree canopy. We slept in two tents because our 2 person tent isn’t really large enough for the 3 of us…and packing weight wasn’t an issue in the canoe. Skyla gets some TLC from Mama. We notice that her lips are turning blue in the misty, heavy, cold air. And her hands are icy. We have not found any gloves that stay on her tiny hands yet. She is learning to tell us when she gets cold, but still doesn’t quite understand what’s happening. 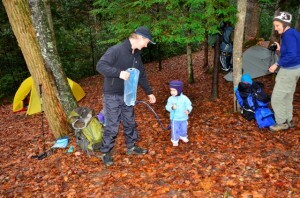 One of the most important things to do while having young children in the wilderness with you is to read them properly. They can’t always understand what is happening to them, nor can they explain it to you properly. So we have learned to read her signals. Sometimes, she just needs Mama, and that’s that. We set a course back to the Arkansas Remote Spot after striking camp. Just up on the banks here is the remotest location in the entire state of Arkansas. We got lucky with this one from the standpoint of travel ease. The R-Spot could have landed a mile or two out in the swamp, which would have presented a much greater wilderness travel challenge. But we don’t mind. We’ll take it either way. It turns out that the Georgia Remote Spot will smack us back to reality–we have discovered that it is located in the middle of the Okeefenokee Swamp! And we will be there soon enough. Surprisingly to us, we can still hear US Hwy 82 while standing on the Remote Spot. And it is located 2.5 miles due south. The drum is constant. A tractor trailer engine brakes. The motor roars. The hum of the road is heard throughout the entire 15-minute RSA period. Should it be surprising that we can hear this from so far away? Consider the image at right of a busy interstate. When you multiply the sound emission from dozens of automobiles in concert, especially semi trucks, it becomes easy to understand that the sound can carry for miles, especially across a flat landscape with little structure to deflect sound. And now we have our direct observation to confirm that a highway roar can travel for nearly 3 miles. There is a large body of scientific literature that documents the effects of roads on the natural landscape. While lying awake last night listening to the road roar blotting out other would be sounds of animals calling, we concluded that the road noise probably made it difficult for nocturnal animals to communicate effectively over long distances. Simply put, they just cannot hear each other calling. What effects might this have on reproductive success over time if the sexes cannot hear each other calling? Hundreds of species depend on calling for reproductive recognnition. The forest at the Arkansas Remote Spot consists of mixed oaks and other deciduous hardwood tree and shrub species. On the higher outside banks, where levys form, the forest is drier with a greater concentration of upland dwelling oaks. But the majority of the vast swampy floodplain forest that dominates this roadless area polygon consists of water oak, laurel oak, black gum, and some baldcypress in the wettest areas. The likelihood that a European human has stood in this exact location at sometime in the past seems fairly high, given that almost all Eastern forests were either clearcut or selectively cut at some time since colonization. This would have required that a human stand here…at least for a few minutes. However, there is no direct evidence of recent human contact with this location. 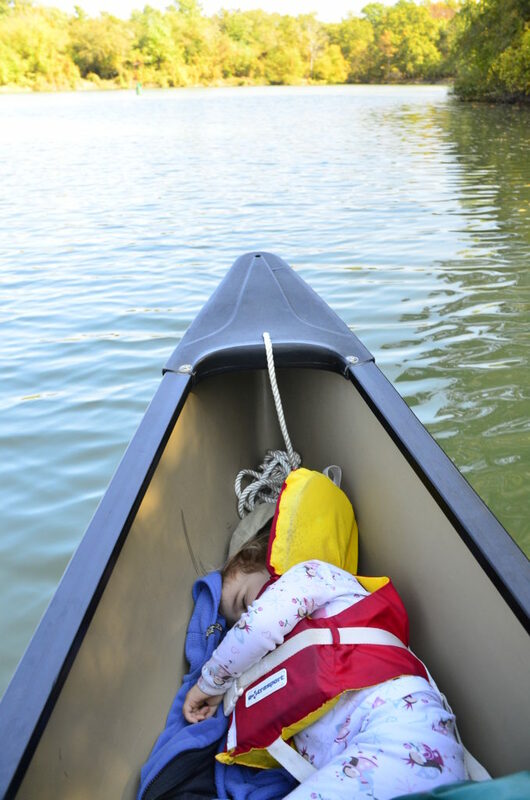 Sometime around midday, we begin our 3 hour paddle back to the boat launch…Our little partner takes her midday nap. The trip back is very enjoyable, quiet (except for the road), and we see no people until close to the boat launch. Winds increase markedly out of the south in advance of an approaching frontal system. We will just beat the rain! While paddling close to shoreline, we frequently notice prominent soil disturbances along the river’s edge. Then we encounter the culprit floating along the shore–a deceased feral hog. Not sure what killed this one. The European wild hog (Sus scrofa) was introduced long ago into mainland North America (Florida), first by De Soto in 1593. Many introductions followed. It now ranges from Florida up to Virginia and out to Texas. It continues to sweep into new parts of the country. This invasive, highly fecund mammal is taking its toll on native habitats as well as on other species. It actively roots through vast amounts of soil in search of food. Being an omnivore, it will eat just about anything. Aggressive hunting of feral hogs may be the most effective hedge against its ability to explosively populate. 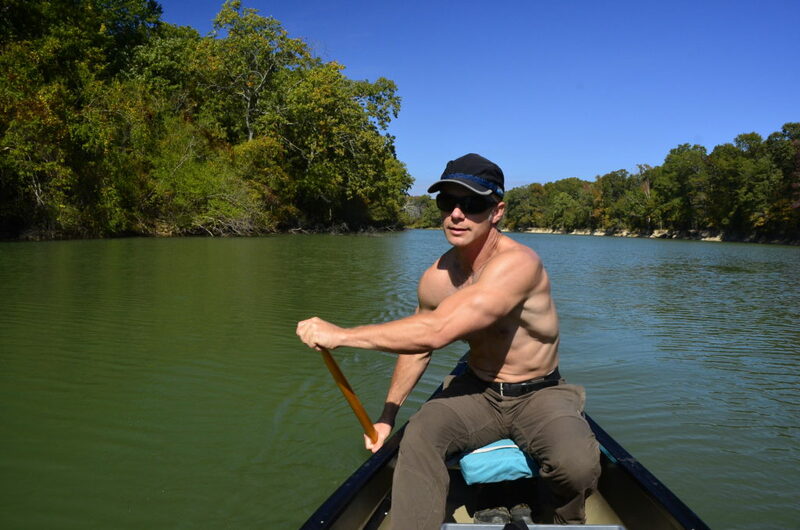 Our remote paddling experience along the southern Ouachita River comes to a close in the mid afternoon. 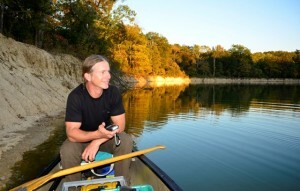 We are really pleased with our Arkansas Remote Spot expedition overall. 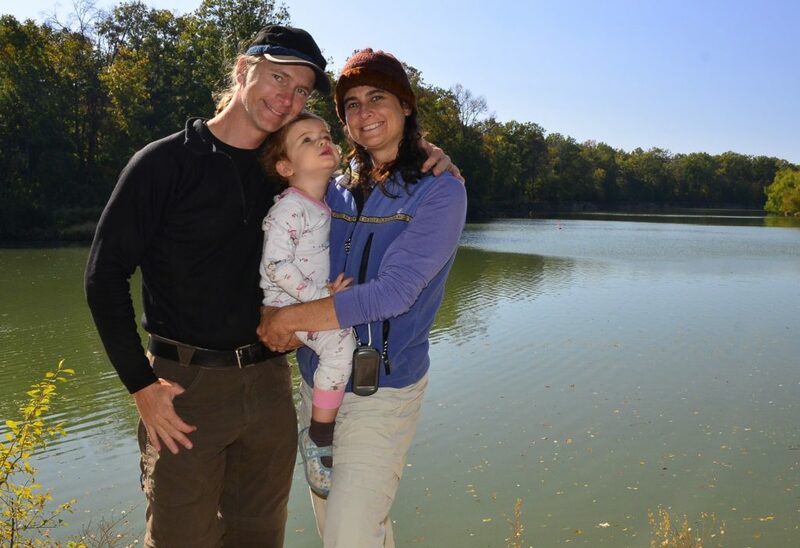 Prospects for the continued preservation of the Arkansas Remote Spot appear very good because of it being located within a national wildlife refuge. This is great; however, as we arrive and download/upload our gear back into our automobile, we notice a prominent sign near the ramp that makes us cringe a little. The sign warns of the potential grave health consequences of consuming too much fish out of the local waters. Many top carnivore species of fish are excessively polluted with the toxic heavy metal mercury. Pollution tends to magnify within species that occupy the top of the ecological food chain, like carnivorous fishes. The mercury in these fish originates from the cumulative industrial atmospheric pollution billowing out of smoke stacks all over North America. In fact, there are many United States that suffer from excessive mercury pollution in both the air and water. 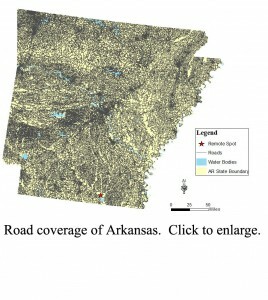 We are not just picking on the great state of Arkansas. What have we done to our beautiful planet when we can no longer eat fish from seemingly pristine, remote waters because of our own actions? After being warned about consuming too much local fish and hearing the roar of US HWY 82 all day and night long from everywhere within the largest roadless area in Arkansas, our feeling of remoteness takes a hit here. Project Remote Fundraiser: After reading this website, you might be surprised at just how hard it is to get away from a road or a town nowadays–and instantly understand that we must now as a nation speak out to protect remaining public roadless areas from further roads development. Project Remote is now over half-way done! Our goal is to raise enough funding simply to offset the cost of traveling frugally state by state, completing the documentary field work, and maintaining this website. This work depends on donations from people like you. If you like what we do, please make a donation to support Project Remote today. Thank you so very much for helping us bring you whats left between the roads in America!